Just Another Blog: Uploading Life. 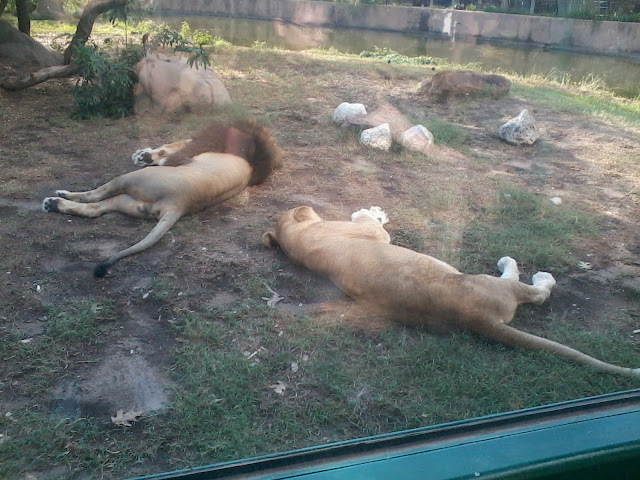 Kittens that will sleep on your lap: See Lions. A little bit of this years thanksgiving. I will never ever ever eat cranberry sauce out of a can again. It's cheap, easy, and about a million times more delicious. I spent the early afternoon at my dad's house, my grandparents were there, my aunt Karen, and even my sister showed up. My step brother was there, and even brought his daughter. I showed off some origami to her and made her a tiny rose. I was honestly surprised that I remembered so precisely how to make the rose.. it's been a long long time since I made one. But it was really cool and I plan on making more in the future. My step brother brought 2 of the coveted butterscotch pies.. there was much joy. After dinner at dad's house I went home and finished cooking dinner for my mom, and zac, and my sister came over to join us. Kayla was out with her family. It was really messed up, though, later that night we found out that Zac's parents escaped their home burning down. Even if insurance pays everything that it was all worth, which is unlikely, it will never replace the photos and memories. After that, though, my sister got both Zac and I invites to play in the weekend long Star Wars The Old Republic beta.. which we did all weekend when not busy with family. I spent a lot of time at dad's house later working more on my boat. So much work, but it is really shaping up to be very beautiful. This morning I went to pick up my new guitar. My new beautiful baby. So pretty, and she sounds like a dream. She is the first new guitar I picked out for all the features I wanted, and Scott bought her for me. One of the most generous gifts ever, and it really felt good after the crappy months and debts I had over my broken arm. That and a small computer upgrade are two of the things that those debts stopped me from being able to do. Anyway, the replacement after the dud I had last time arrived at Guitar Center... last wednesday. I would have known that if I'd bothered to call or something instead of just assuming monday. I could have had her and shown her off to all my family. Oh, well. C'est la vi. After I picked her up, I swung by Larry's Hobbies on the way home because I was inspired by all the model building with my dad this weekend. They have a sci fi section that is filled with star trek, star wars, doctor who, and all sorts of other cool models. I should maybe have taken more pictures, but these seemed like enough. The ceiling is covered with complete models. THey've been around since as long as I can remember and I remember going there with my parents as a kid after church to look at the model trains. Their model train is plagued by Godzilla, btw. Now, this cool little treat is a character I had thought was completely forgotten.. but is painted on the wall of the taco bell between guitar center and home. This is actually from the trip to turn in my damaged guitar to get the new one, but I didn't think it was worth posting by itself at the time. It was just super cool to be surprised while I was eating with a hand painted picture like this from some random local artist.